DAVID LE/Staff photo. 4/17/15. 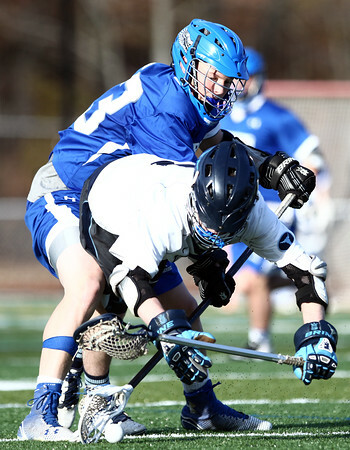 Peabody attack Tommy Southern (1) gets checked from behind by Danvers defense Cole Johnson, while trying to win a loose ball.